Results and some critiques below the show photo. Excellent, Best young male, BOB-young, 2:nd best male. AfBV/SBLO, Skåne, May 17, 2007. 2009.08.01 Swedish Breed Specialty - The Belgian Weekend - Stockholm. 2009.04.10 Swedish Kennel Club, Stockholm. 2008.12.07 Swedish Kennel Club, Stockholm. Excellent type. Open male with good masculine appearance, parallel. Dark beautiful eyes. Medium long head. Well carried ears. Excellent neck and back. A bit sloping croup. Well angulated with excellent chest, bones and feet. Stands correctly. Moves well balanced, could have more drive. Excellent quality of coat and excellent colour. Open and nice. Well shown. 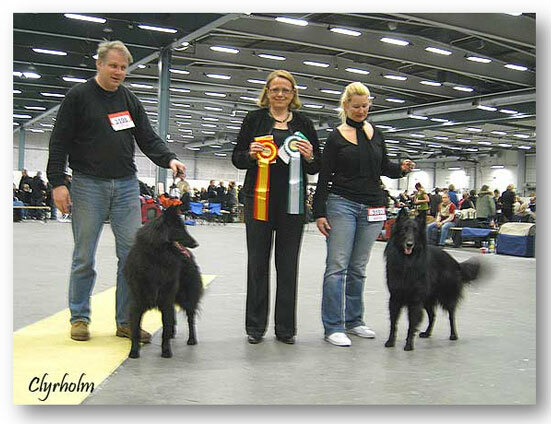 2008.03.23 Swedish Kennel Club, Stockholm.  7:rd Belgian Shepherd Show Groenendael of the Year 2007! 2007-12-15 Swedish Kennel Club, Stockholm, "The Big International"
2007.08.04 Swedish Breed Specialty - The Belgian Weekend - Stockholm. Judge: Mr Hans Reinders, Holland. Excellent, 2:nd best male. Part of BIS breeders group together with Viola, Vinny and Tascha. 2007.05.13 Swedish Winner Show, Österbybruk. A-Te-Ell's breeders group was winner with honor prize. 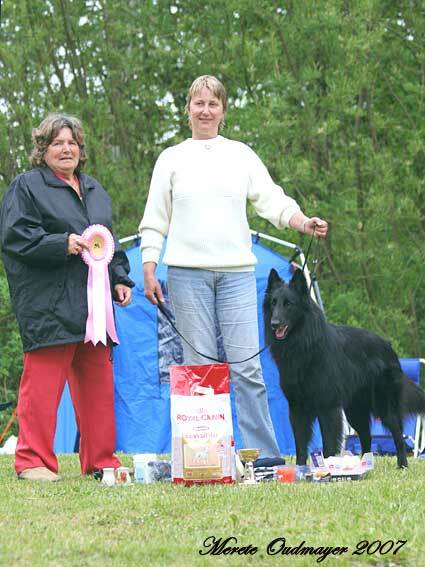 10:rd Belgian Shepherd Show Groenendael of the Year 2006! 2006.12.10 Swedish Winner Show, Stockholm. Judge: Mr Paul Jentgen, Luxemburg. Medium size, very good type. Masculin head, dark eyes, correct bite. Good ears, good neck and back. Croup a little bit slooping. Good body. Enough angulated in front. Well angulated in rear. Wonderful movements.